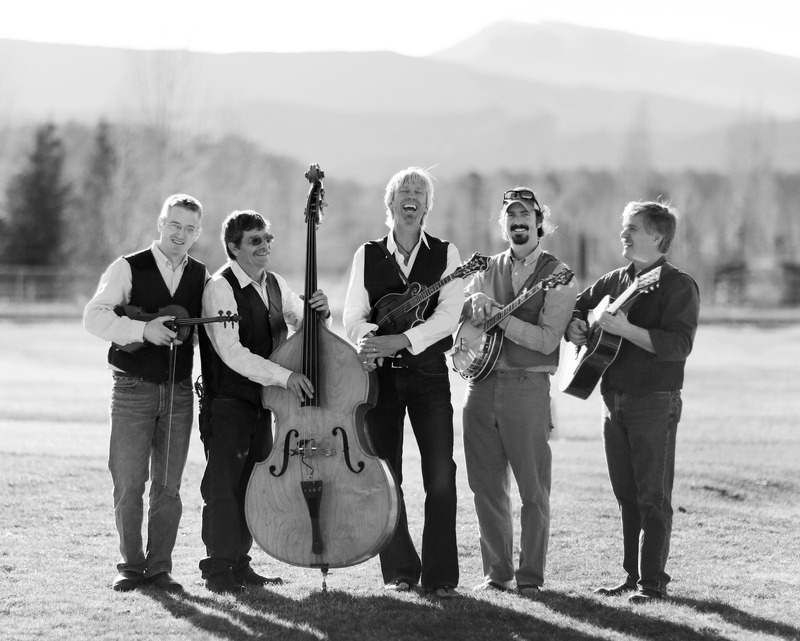 THE SMUGGLER MOUNTAIN BOYS | Aspen Wedding Music....Bluegrass and More!! 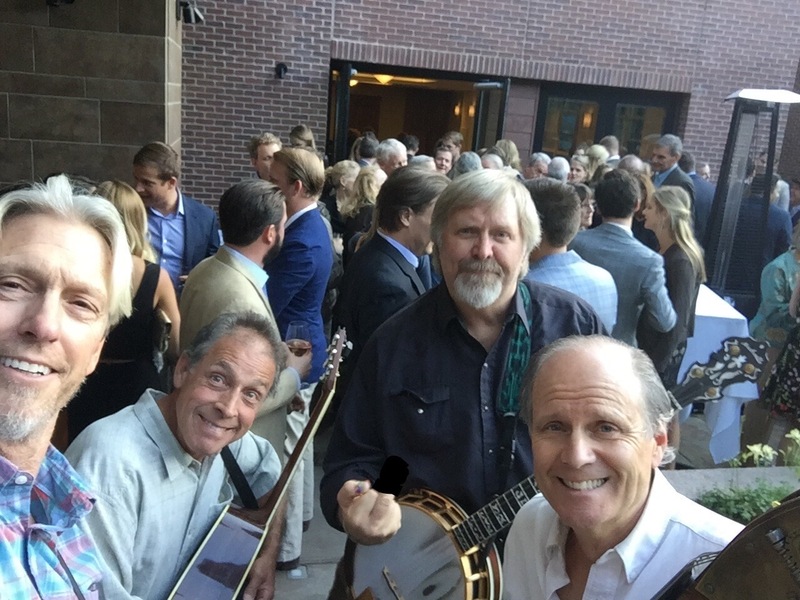 There is nothing like a live band playing music for your wedding, party, or event! 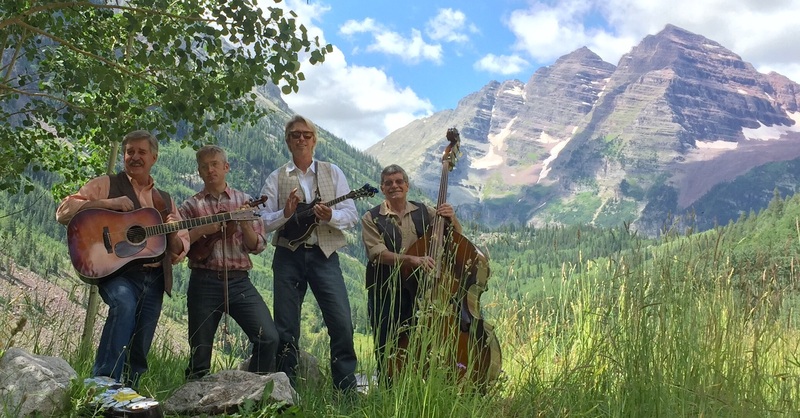 The Smuggler Mountain Boys is a traditional and contemporary bluegrass band playing everything from Bill Monroe to The Grateful Dead. 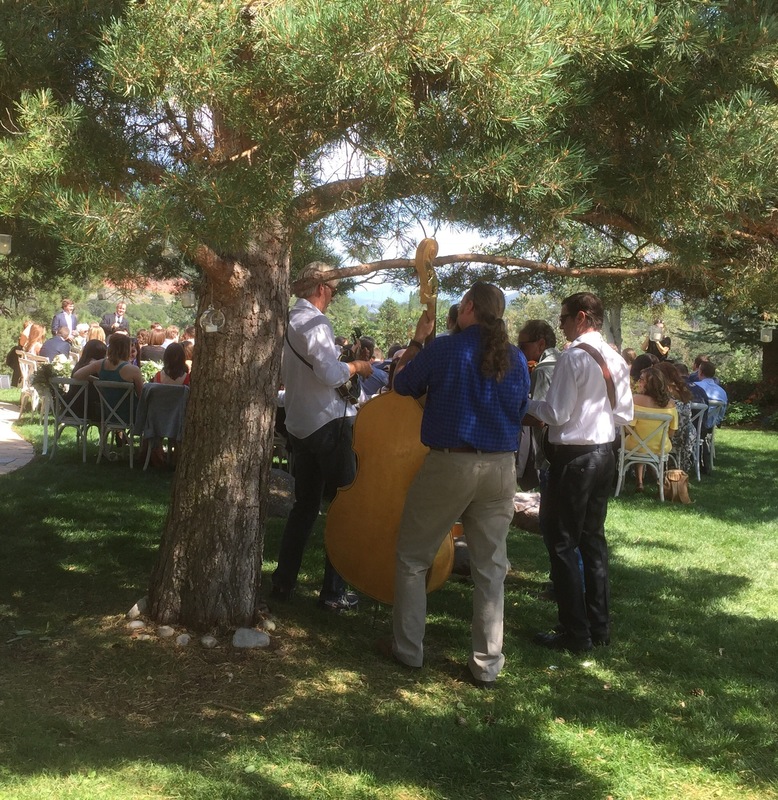 We play weddings: music while guests arrive, the Processional, the Recessional, the Reception, or whatever you’d like. And don’t forget the Rehearsal Dinner and Brunch the morning after! Add zest to any event…we’re available for your Sweet Sixteens, Bar and Bat Mitzvahs, BBQs, and other Bashes! 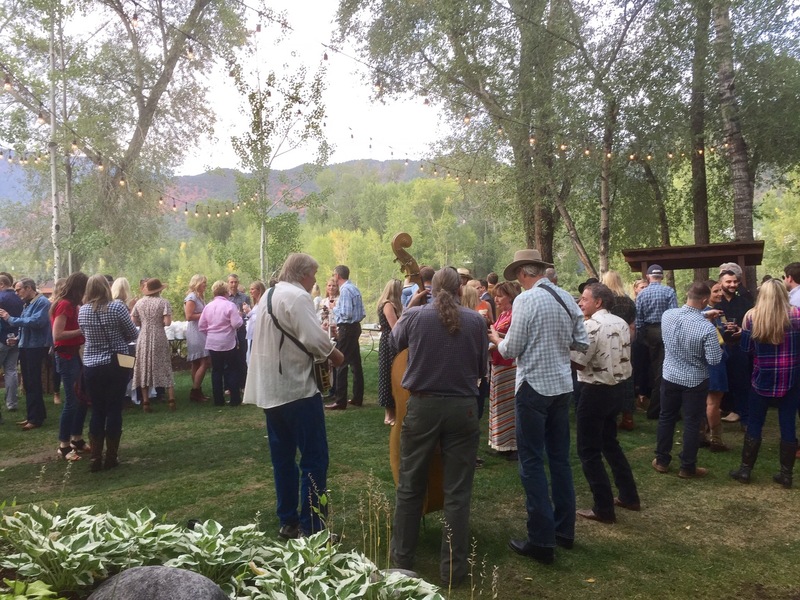 The band plays the occasional pub from Aspen to Glenwood, Bluegrass Sundays on top of Aspen Mountain, and at the farmers’ markets in Aspen, Basalt, Carbondale, Glenwood Springs, Newcastle, and Rifle. Add in Marblefest and the Carbondale Mountain Fair, and a whole lot of private parties!!! We can play as a three to five piece band with a full sound system or we can play acoustic for more intimate settings. Last minute event? Check with us…it might be possible! 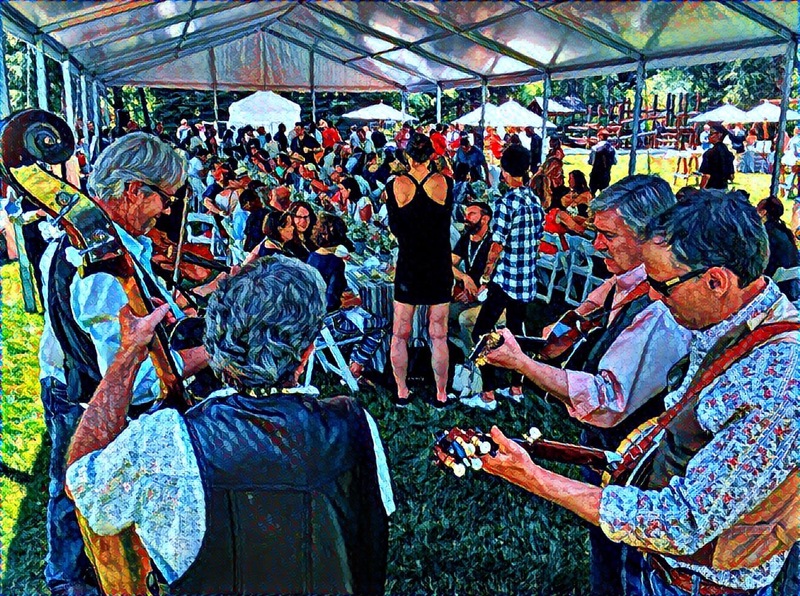 If you are interested in music other than bluegrass, please click here for another excellent suggestion.